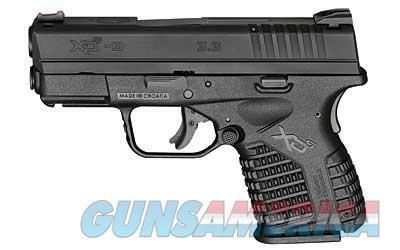 Description The Springfield Armory XDs is one of the very best options available for the discerning Concealed Carry Permit holder looking for a reliable, durable, and accurate pistol. Using the same attention to detail combined with excellent ergonomics and utterly reliable functionality ensure that when you need it, the Springfield Armory XDs will be ready to make short work of the task at hand. This is one of the easiest sub compact carry pistols to shoot available on the market place today. Pick up a Springfield Armory XDs and discover how easy it is to conceal a legitimate power house conceal carry pistol.